I'm back today with another gift idea for any ladies in your life who are into skincare. 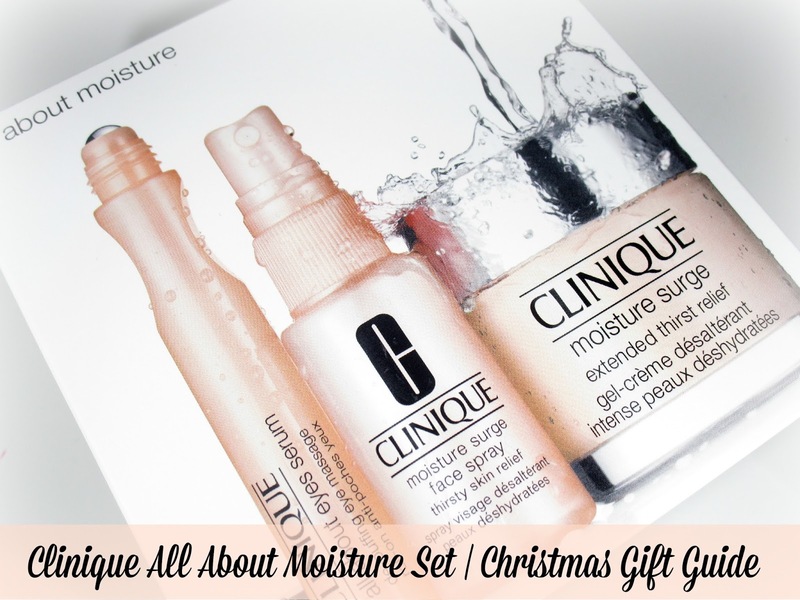 Skincare is quite a personal thing but the Clinique All About Moisture Set* is suitable for all skin types, however I think it would be best suited for anyone with a dryer skin type like myself, or if your skin tends to suffer during the winter months then this set would be great to perk your skin back up not to mention its a very lux gift set indeed. This stuff is gorgeous, the lightweight cream-gel claims to comfortably plump the skin and gives you mega hydration for a full 24 hours and I have to agree. A little bit of this cream-gel certainly goes a long way and it almost instantly soaks into the skin so theres no waiting around before you can apply your makeup which is a bonus, Ive found after using this moisturiser for a while it's made my skin so soft, super moisturised, somewhat firm, alot more vibrant and my flaky patches are no existent. This is a pretty impressive little bottle of goodness for your skin, it's an Aloe activated water facial spray that's perfect to pop into your handbag for on the go when your skins abit thirsty and needs a moister boost. I like to use the facial spray best when I'm having an extremely dry day, this happens to me alot when it very cold and windy out as there is alot less moisture in the environment, I simply hold it at arms length, close my eyes and gently spritz over my face then using my fingers I lightly tap it into my skin. It instantly replenishes my thirsty skin, restores moisture, soothes and leaves my skin soft and smooth without distracting any of my makeup, its also oil free so any oily skin suffers wont get caught with an oily surge if they use this either. I love a good eye serum and this one certainly is a beauty. 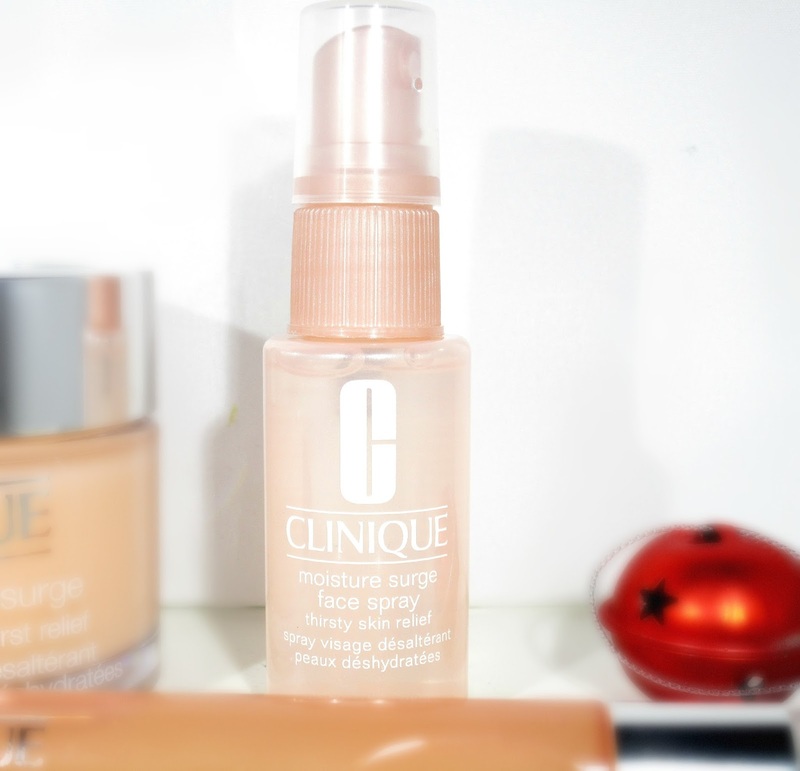 The Clinique All About Eyes Serum contains a de-puffing eye massage roller ball which helps massage away bags, refreshes, and hydrates puffy eyes on contact not to mention its super cooling and really wakes the eyes up in the mornings, especially if kept in the fridge which I'd highly suggest for best results. The Serum itself has that same cream-gel formula which sinks in around the delicate eye area beautifully and feels very nourishing, it really helps reduce my dark circles, brightens and soothes and all in all works great! It's also oil-free, non-irritating and Ophthalmologist tested. Overall I think this would be an amazing luxurious gift for that special lady in your in life that you'd like to splash out on abit this year, whether it be for your Mum, Gran, Girlfriend, Sister or Auntie etc I think this gift set would be greatly appreciated and enjoyed by all ages. 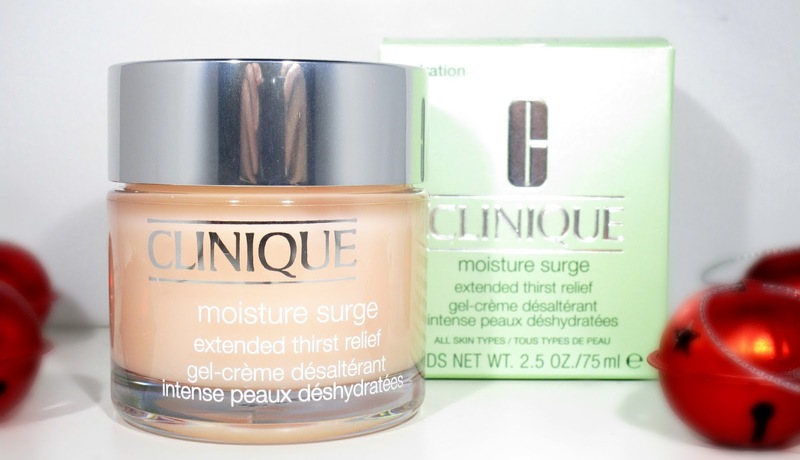 You can find the Clinique All About Moisture Set on the Cosme-De.com website for £57.00, if you haven't heard of them before it's basically an online shopping site that sells all things beauty, skincare, fragrance, haircare plus more, they stock brands such as Benefit, Bioderma, Bobbi Brown, YSL, Estee Lauder and that's just to name a few so theres certainly plenty of choice on the website. Cosme-De are actually based in Hong Kong but ship worldwide for FREE on every order (whoop), their website is very clear and easy to use and all you have to do to get your preferred currency is scroll at the bottom of the website and click the little drop down box to choose, simple! 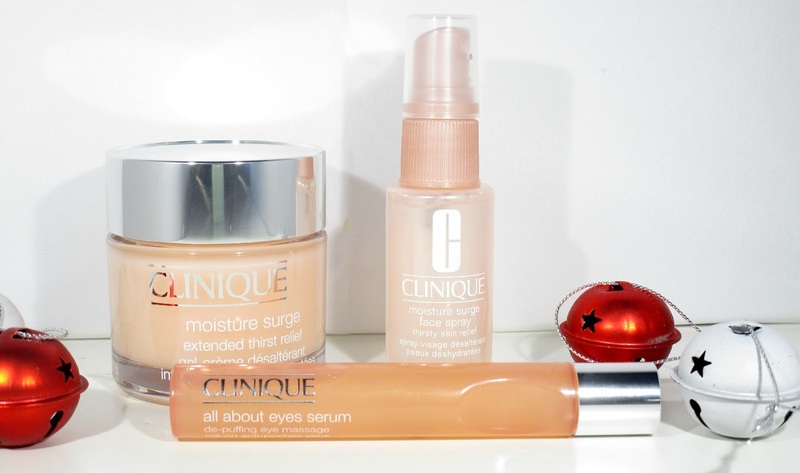 Have you tried anything from this Clinique Set before?? What did you think?? I'd love to know! It's an amazing gift set for this time of the year, it's made my skin full so moisturised and looks so much more radiant too :) Thank you sweetie! They are so lovely and fell so luxurious hehe. Thank you my lovelies! Sounds like an amazing set, definetly what my skin needs at the minute! I always think these sets make such good gifts as they are normally bits you want to try but can't quite justify buying yourself. Or maybe that is just because I adore Clinique! The moisture spray has really caught my attention. I need to keep an eye out for it!